I love AFM LE had it for like 7 months and I am super impressed with CGC and the extras, large LCD, extra topper etc. I have owned STLE sold one year ago, but sold to fund RR WoZ would not mind having it back. I have not played MB too much mostly here and there as a casual play not like a full owning experience, I hear people say it's too easy or not as challenging a lot game. ST has more rules if you consider 6 modes x 3 levels deep. pros: slightly cheaper but the LE version is one of my favorite Stern pins due to the lighted side rails and the laser, 3 flippers, warp ramp, lots of ways to play, known build quality. cons: I already owned STLE for 4 years and sold it, I still have SM which is similar layout, the code does have some bugs. I would need to buy the machine now to get the one I want local. Side note: although I had STLE for 4 years, I never got too far towards the end, I have KM multi ball a few times but not much past that. I think I could make a run at the second wizard mode if I owned the pin again. pros: would be new (to me) and so all new things to discover, I love AFM remake and MB is from that era and rules by Lyman are probably well polished. I could (probably) wait a year and still get one new. cons: slightly more expensive, some people say it's too easy. Side note: I could get the local STLE and still get the MB LE in a year (even if I had to sell STLE probably not much of a loss). I say STLE. Probably my favorite game of all time. Deeper too. I own MB original and I would say get ST it has a good layout and the main reason I prefer it is because I think the rule set is deeper. While I think ST is the better game, this is a major con. Never go backwards in Pinball. Once you sell a games once you need to move on. I’ve made this mistake before. You definitely can if you have a long enough game. It doesn’t look that deep at first with only 6 modes, but think of it like a 3D pyramid. Really there is 18 modes as there is 3 levels to each mode. Great rules. I am starting to lean towards a shorter playing game, I mean sold LotR because it seemed like needed to play long games. Trying to decide if that's why I sold ST because (is it too long game times?). STLE may be my favorite game of all time. The LE is a true LE. I only played MB a couple times but it was kind of boring. STLE all day and twice on Sunday unless you just want to look at the game. The problem with STLE are that all the first level missions are, essentially, the same. If the the code was restructured so that some of the deeper mode code variations were in 1st level pyramid, it would be significantly better. You see these changes when playing the “3 deep” method,however, you would typically miss out on KM and and potentially leave a lot of points on the table. I owned a pro for 6 months and an LE for 3 years. I owned a Spider-Man prior and personally think it’s a much better game. Combat the long ball times on S-M with some lightning flippers. I very much agree. One of the only games that I would have to save up to get the premium/le. Just has so much more then the pro. I only owned ST pro.. but I got the gist of the rules, not my thing. MBr LE all day. Star Trek LE is still my favorite Stern to date. Iron maiden is an extremely close second. 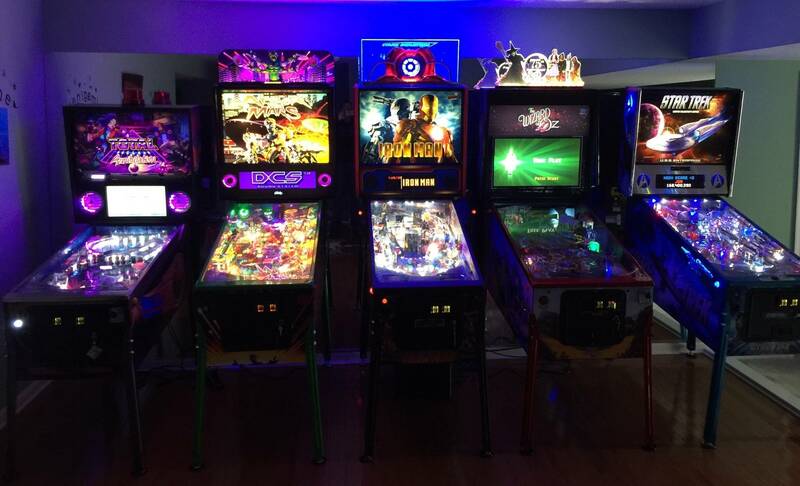 I will be in Florida next week found this : Pinball lounge that has the MB LE as well as tons of other new pins that I have yet to play. will check it out. MB over ST - I just can't get into the Stern ST.
Wow, that's saying a lot since you own a lot of Sterns. Hard to really prove but star trek to me feels a little too much like AFM. I also own an AFM LE and I think ST is great but having both? I think its that ship shot in the middle on both that kills it for me hence no ST in my lineup. Plus I own SM grrr that’s even more like ST. I'm getting a MBrLE too. To me, it plays so much diff than AFM. Can't say the same for ST.
Yep, also finding MBLE local on route and home use. Rai, any chance you can play one in your woods before deciding? Awesome location! Kurt and Ed keep their games well maintained. You already owned ST for a long while. Go with something new. I had a ST pro for around 3 years. Enjoyed it and played it a lot during that time. It just got to the point where it was time to move on. My biggest issue was the first level modes took so long to complete. Timers would stop when the ball was in the pops and when you cradled the ball. And if you hit the black hole target it adds even more time. If they made it easier to start modes, shortened level one modes, and had more to do between modes the game would be so much better. I'm a decent player and only saw the 2nd wizard mode twice. MET got an update to make the game easier and take away some of the wood chopping. ST needs the same. I say go for MB. It's not my favorite game but I think it would be awesome to own one. Playfield is gorgeous and it's about as classic as you can get. Guests will love it. If it was your only pin, it might get stale fast. In a larger collection, it would be great to play when you just want to have fun and enjoy good, campy pinball. If you do get sick of it, it should be easy to sell. I see your point about ST, that I loved the way it shot but the modes were too long or not varied enough or not super fun to play. Also I still own SM which is a lot similar to ST. I will play MB LE this week to see if I like it. Only reason I was thinking of buying STLE again was that I had a local one great deal. But that's not a strong reason to buy it. (I would still buy it if it was an amazing deal but it just seems like a great deal not amazing). I mean I bought DI LE for less than this STLE so they are on the same price (MB LE would maybe $400 more). The other factor is that if/when I get MB it doesn't need to be now. When you have a great deal it has to be now, but with MB I can wait. ST for me = mode fatigue (I always felt like I was in the same mode over and over) this is just my opinion, I have owned STLE twice and it is a great game, but its not a keeper for me. I did like the away team missions. Having an alternative mode was a cool idea but wasn't really utilized well. There wasn't much advantage of doing them besides maybe more points. Some were nice to bring into mb but that's about it. Most modes in pinball are just shoot the lit shots. ST had great flow so it was always fun shooting shots in whatever mode. I think the problem was that there are so many modes and very little advantage to playing them out. Sure you can get medals and shot multipliers but I always found it hard to turn those into anything substantial points because so many shots were required. Easy solution would be to have the black hole mystery award better things. Awards were never changed through the updates and most of them were worthless. STLE, and I had the same decision. Mine arrives Monday. On the list for MBrLE but I can play it locally and find it easier, although it is beautiful and I may end up getting it anyhow. It's tie poll (if I take my vote away). Here is what your old LE looks like these days, hope all is well and get another one, my friend, you will not regret! Hey, wait a minute, you have two Star Treks! I am leaning towards STLE. I played MB LE today and while it was nice, it's almost too easy (IMO) which would be great for a novice player. I played 3 games and got every mode but one lit on the the second game. I don't say that means I was close to finishing all the modes but at least started them, and (some) modes just happen by chance like the pop bumper (mummy). MB is a fun game but I was watching some ST games there is a lot of different ways to play and scoring opportunities. I am still not 100% happy with ST code because the modes are very similar but it does take more skill to start the modes. I wish there was a bit more polish in some places, I was watching a tutorial of ST and they finished KM Multiball and it just ended like said mode complete, no big fanfare it was somewhat anticlimactic (IMO). I have both and star Trek LE in my opinion is a much more satisfying game to play. Monster bash is great but way to easy and then it gets old and then I walk right past. 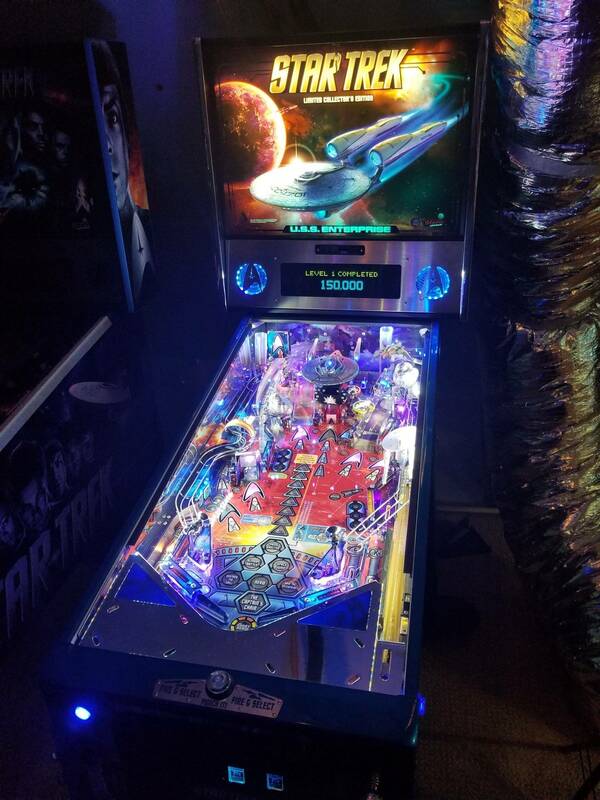 Star Trek always leaves me wanting more, theme is ok, I'm honestly not a huge star Trek fan I'm a pinball player. I’m about to take delivery of STLE. I did own STLE for 4 years, but I never played it as much as some of the super players on Pinside. I may have played 3-400 total plays on ST so there is a lot for me to explore and learn. I want to try the various paths of going 3 deep to double a shot permanently for example. Thanks everyone for voting and posting on this thread. It’s still a tight race in the poll and both are great games and similar price range. I think STLE is a great looking game and my old one was before Color DMD was supported on ST.
Likw each one for different reasons. A good selection either way IMO. STLE is the better game in my opinion. I love MB, but Star Trek flat out rocks. Karl Urban prefers STLE. Me too. Wanted MB for years, got a beautiful one, sold it in a few months. Problem with stle is that those modes get so stale. Literally the same thing over and over. It's a shame bc the game does have a lot going for it. MB is an easy game but if you enjoy the game, setting it up hard prolongs longevity. I have no extra balls, outlanes fully out with no rubbers, very very tight tilt. Lots of short games now which is fine. MOR still attainable but much harder. Could make it even harder by taking out outlanes and adding lightning flippers. Some people like long long games, but I like setting games up so I don't get bored! I’m surprised how little I play my STLE currently. Bad timing though, I got in a rush of getting a bunch of home machines at a time. In the future I know it will have a prolonged period where it dominates my home play. It’s also one of the “true” LE’s which doesn’t hurt. It gets my vote over MB, even if you already have Spider-Man. Additionally If you’re a solid player and don’t have a friends/novices/noobs over often then MB would certainly have an increased chance at getting old faster. BUT if you have people over all the time though... I change my answer to MB. 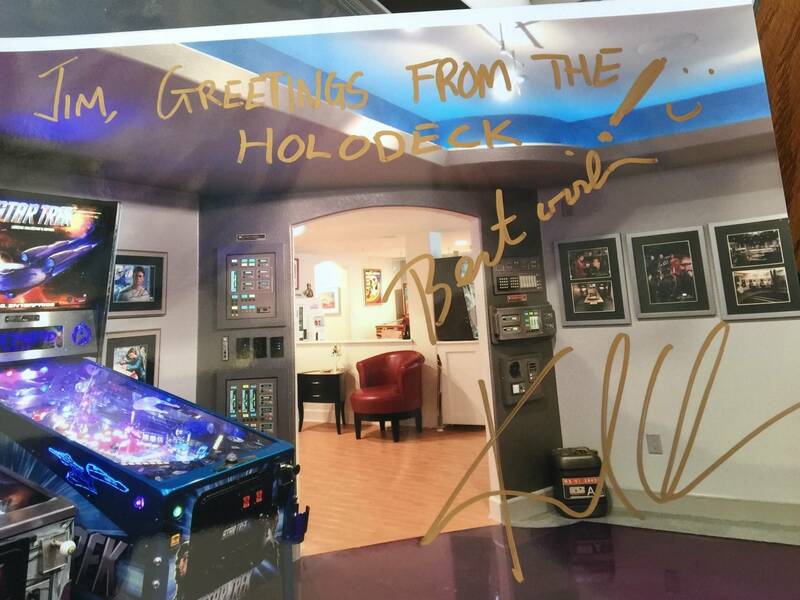 I agree... but pinball is more than just gameplay/rules. I do wish there was a bit more something special to the code. It’s got a lot of modes but they can feel same-same because they are all qualified in the same way. This may sound like a poser attitude but half of my enjoyment of a pin is the bling bling. I love Tron gameplay but the sound and the lighted ramp and the arcade mod make it better. I love love AFM but the LE with the topper, mirrors, enhanced lighting effect are really worth every penny for me. With STLE it’s like bling turned up to 11. Why I love Woz so much is the light show and STLE is my second favorite light show pin. STLE has the lighted ramps, laser lights, lighted side rails, full color inserts. This is partly why I love TNA sound and vision. I know many don’t care for TNA because it’s same same modes rinse repeat but I like the visuals and sound and the gameplay does enough to keep up. Ultimately why I posted this question was not so much that I woke up alone day and said “I need to buy a new pin”. What happened was a local stle was for sale and the price was more than reasonable. Figure that worse case if I don’t love it in a year whatever I can sell it for similar price to what I paid. It’s easier to buy a pin like STLE for a decent price (already some depreciation in the price) than to buy something nib that would take a big hit on resale. I already sold a STLE after owning it 4 years at no loss not even loss on mods. So I figure I’m ahead of the game in a way since I had game 4 years at no cost. I might be able to do same with this one (I mean minimal loss). There does seem to be a hell of a lot of ST on the market for sale currently so maybe it’s going through a transition with people getting tired of it and selling to get something new. Monster bash is, for me, a grail pin that was remade and a miracle. You cannot pass up a grail NIB for Star Trek, I just hope I can get a remade cactus canyon eventually as well. 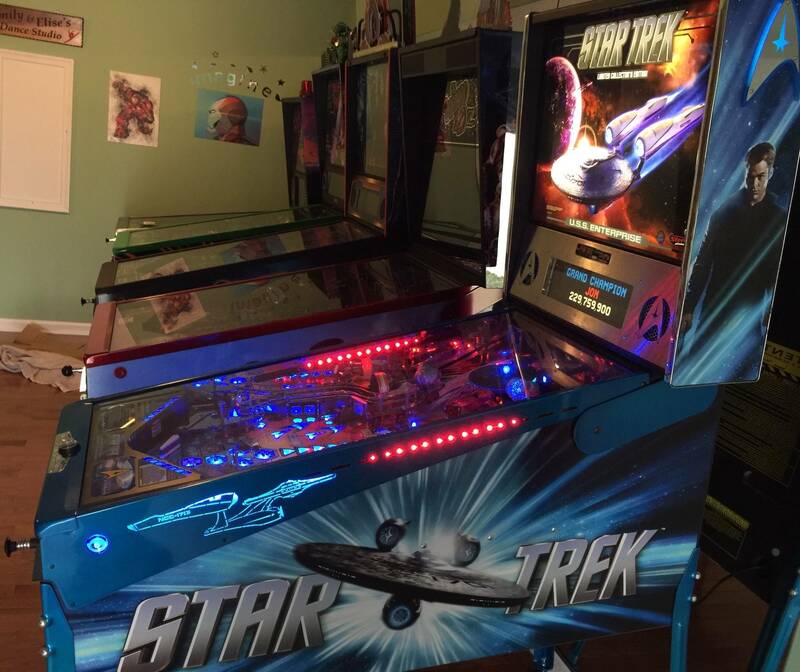 For a player the choice is monster bash as well, the only reason you would want Star Trek is as a fan and more of a pro pinball player. 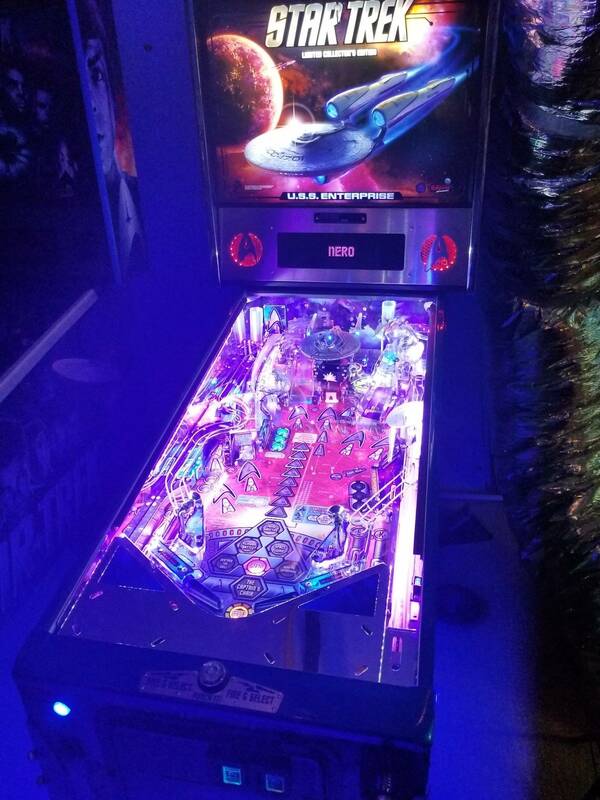 Every “mere mortal pinball fan” will appreciate monster bash more, even if Star Trek does have a lot more going on for the semi pro or “long baller” but I personally do not appreciate long ball times and use the machines as party entertainment with lots of beer and scotch. I think you are misusing the word you and I.
I never thought MB was a grail pin, it’s a top rated pin so that has some weight but overall not my grail pin. I’d much rather see TZ and IJ remade.